Welcome to the website of FHI, a christian humanitarian agency that works with people with disabilities in Ghana, West Africa. FHI is a non profit-making relief and development agency and non-governmental organisation (NGO) - with the primary purpose of helping the unreached, deprived, underprivileged and needy disabled, especially children. 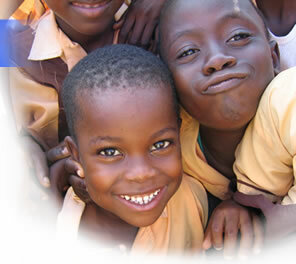 It helps them to obtain education, life skills training, and business assistance programs (at various establishments in Ghana) by locating disabled people in the rural areas of the country and arranging finance for parents who are unable to afford educational costs. FHI also campaigns to eradicate social taboos and negative attitudes that stand in the way of handicapped people’s development and welfare - and let them take their place in society. INVITATION TO VISIT UNIVERSITIES & COLLEGES FOR THE DEAF IN USA - SEPT. 15 TO NOV. 10, 2012 Pictures and Report.